This mystery book discussion group meets every 3rd Friday of the month. Join us in December for a discussion of the book Christmas Mourning by Margaret Maron. Books for the current discussion will be available at the Checkout Desk. Sat 12/8 2pm-3pm Margaret Maron discusses her new mystery The Buzzard Table Grand Central Publishing $25.99 hc mystery 9780446555821 "Every Margaret Maron book is a celebration of something remarkable." -- New York Times Book Review New York Times bestselling author Margaret Maron returns with a thrilling new Deborah Knott mystery . . . Judge Deborah Knott and her husband, Sheriff's Deputy Dwight Bryant, are back home in Colleton County amid family and old friends. But the winter winds have blown in several new faces as well. "In Maron's intriguing 18th Deborah Knott mystery...Maron successfully combine a look at family foibles and relationships with a series of moral choices that challenges the characters' sense of law and justice." -- Publishers Weekly Margaret Maron grew up on a farm near Raleigh, North Carolina, but for many years lived in Brooklyn, New York. When she returned to her North Carolina roots with her artist-husband, Joe, she began a series based on her own background. The first book, Bootleggers Daughter, became a Washington Post bestseller that swept the top mystery awards for its year and is among the 100 Favorite Mysteries of the Century as selected by the Independent Mystery Booksellers Association. Later Deborah Knott novels won the Agatha award for Best Novel. Join us in welcoming North Carolina and New York Times Bestselling Mystery Author Margaret Maron for a signing at our Island Bookstore location in the Historic Corolla Village! Margaret Maron's book Manhattan Mayhem was available from LibraryThing Early Reviewers. Margaret Maron's book Manhattan Mayhem was available from LibraryThing Member Giveaway. 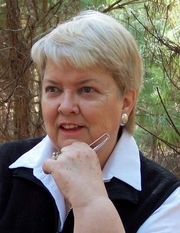 Margaret Maron is currently considered a "single author." If one or more works are by a distinct, homonymous authors, go ahead and split the author. Margaret Maron is composed of 3 names. You can examine and separate out names.